We will do what it takes to ensure the survival of all countries and peoples. Australians Paul Gorrie, Maddie Sarre, Rachel Lynskey, Moira Cully and Jaden Harris led a well-targetted call out on countries acting as blockers to the 1.5oC target. Greg Hunt signed the pledge for Australia, along with others such as a Senior US Advisor and representatives from China, the Maldives and the Philippines. Amit Kumar from Fiji; Aishath Thoifa from the Maldives; Alvin Kan from China; Dizzane Billy from Trinidad and Tobago; Haifa of Morocco from the Arab Youth Climate Movement spoke powerfully about why 1.5oC matters to their countries on the frontline of climate change. Aishath highlighted the threats faced by coastal communities facing climate impacts, as her country’s very existence relies on coral atolls vulnerable to storm surge and sea level rise. I briefly attended a German Energiewender (Energy Transformation) Renewable forum run by REN21. Inspired to hear Dirk Vansintjan from EcoPower REScoop in Flanders, where an old water farm has been converted into a cooperative. They began renewable energy production in 1995 and have grown to encompass hydro, solar, wind and biomass generation with 50,000 members, 50m Euros in capital and 1.5% of the market share. 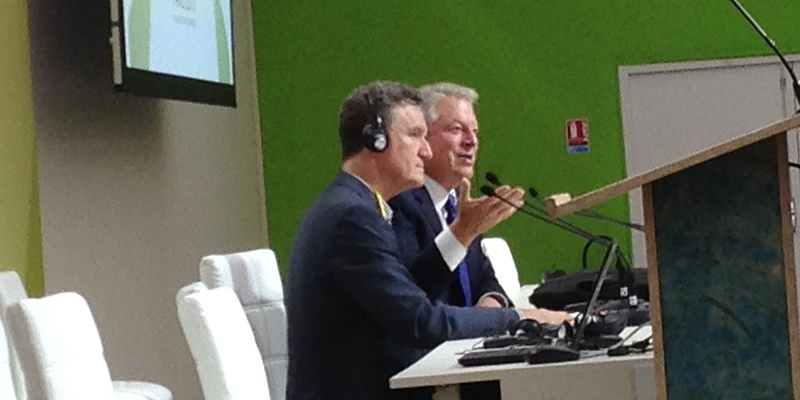 A large crowd turned out for an upbeat session with Al Gore and Don Henry (previously Australian Conservation Foundation CEO 1998-2014) at a side event on Climate Reality. 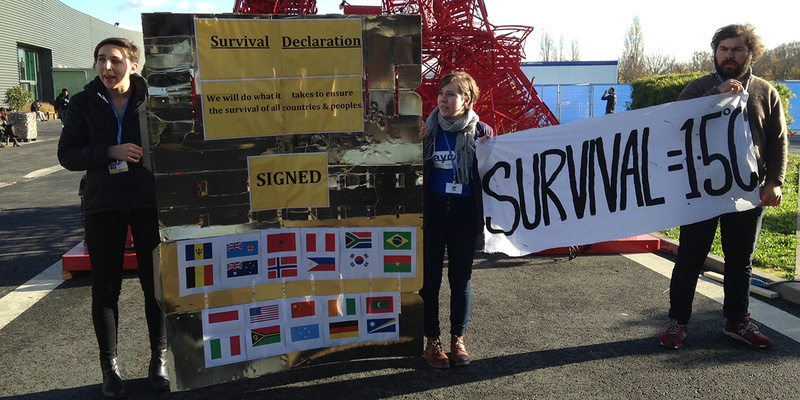 This entry was posted in Activism, Asia-Pacific, Climate change, Environment, Renewable Energy and tagged activism, Al Gore, AYCC, biomass, climate change, COP21, Don Henry, environment, hydro, renewable energy, solar power, wind by Philippa Rowland. Bookmark the permalink. Philippa is a community organiser, with a focus on sustainable agriculture and renewable energy. She is a passionate advocate for the transition to a low carbon future and for investment in the health of our ecosystems.